Accumulating evidence is suggesting that phenolic acids and flavonoids act as free-radical scavenging agents and can produce anti-inflammatory effects to protect our body cells against oxidative stress. Specifically, according to The Honey Revolution by Dr Ron Fessenden, the main antioxidant compounds in honey, floral-flavones are able to exert powerful, significant influences on our body by improving fat metabolism and disposal of undesirable cholesterol that can narrow and stiffen the arteries and block blood flow to the vital organs including the heart, brain, intestines and kidneys. honey reduces bad cholesterol poster imageUnlike honey, highly refined and processed sugars (which include white table sugar) that are void of any minerals and vitamins, draw upon the nutrients in our body for metabolism and when all these nutrients are exhausted, the ability for the body to break down harmful cholesterol and fatty acids is affected. This explains why it is possible for obese people who have excessive sucrose in their diet to suffer from malnutrition, high cholesterol levels, and many severe, chronic diseases such as cardiovascular disease, cancers, diabetes and neuro-degenerative diseases. Regularly consuming honey on the other hand, combats free-radicals, eliminates oxidants and prevents cholesterol, which cannot dissolve in the blood, from being moved out of the blood and into the lining of the blood vessels, reducing metabolic stress and enhancing fat metabolism over time. In 2010, a study by the School of Exercise and Nutritional Sciences, San Diego State University, San Diego, CA, comparing the consumption of honey versus sucrose over a period of 116 days showed that, honey lowered the total cholesterol level in the blood. Another earlier study published by ScientificWorld Journal, 2008, also pointed to honey as a cholesterol fighter. The study investigated the effects of honey on overweight individuals, including total cholesterol, low-density lipoprotein cholesterol (LDL-C, also known as Bad Cholesterol), high-density lipoprotein cholesterol (HDL-C, also known as Good Cholesterol), triacylglycerol, and body weight. Results not only showed that honey caused a reduction in body weight and body fat, but it also reduced total cholesterol, LDL-C and triacylglycerol (a form of fat in simple laymen terms and the main ingredient of the fatty tissues stored underneath our skin and around organs) and increased HDL-C in the subjects studied. 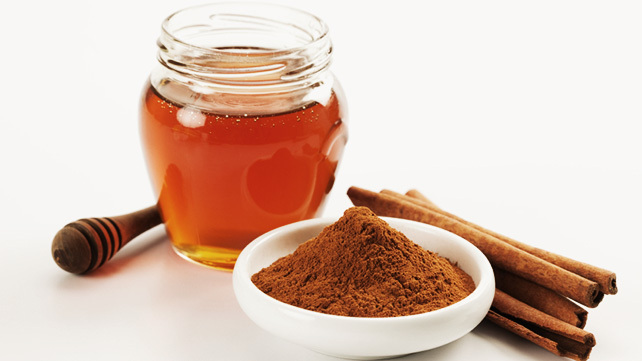 It concluded that honey could reduce cardiovascular risk factors in obese patients with elevated risk factors.